Why should your band consider online distribution? Can’t you just print up CDs and sell them at shows, local record shops, and your online store? That would certainly allow you to keep all of the profits. 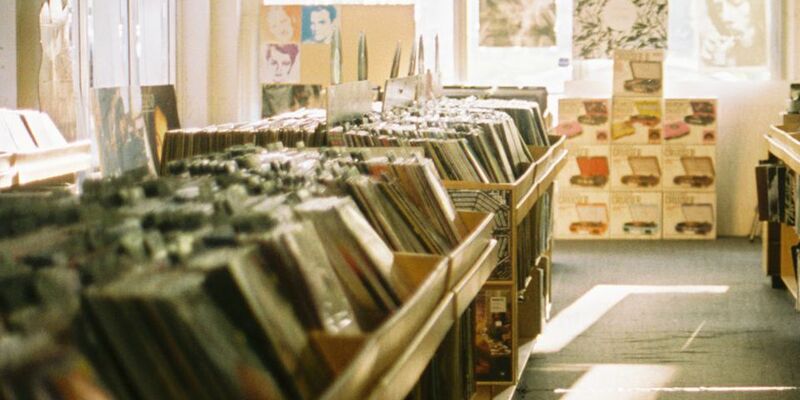 Album purchases are becoming increasingly easy for consumers. Fans don’t want to make a special trip or wait for an album to be shipped. They expect to be able to find and download albums instantly — from whichever service and device they choose. Online distribution puts you in front of potential new fans on a daily basis. Most services use formulas to establish a connection between artists with a similar sound, which can lead to someone new hearing and falling in love with your music. Streaming services like Spotify, Pandora, and Apple Music have created a new revenue stream (however small it may be) for artists. Streaming also removes a listener’s risk of purchasing a song or album that they do not enjoy. From 2000 to 2010, physical CD sales declined by 50%, and they continue to fall year over year. 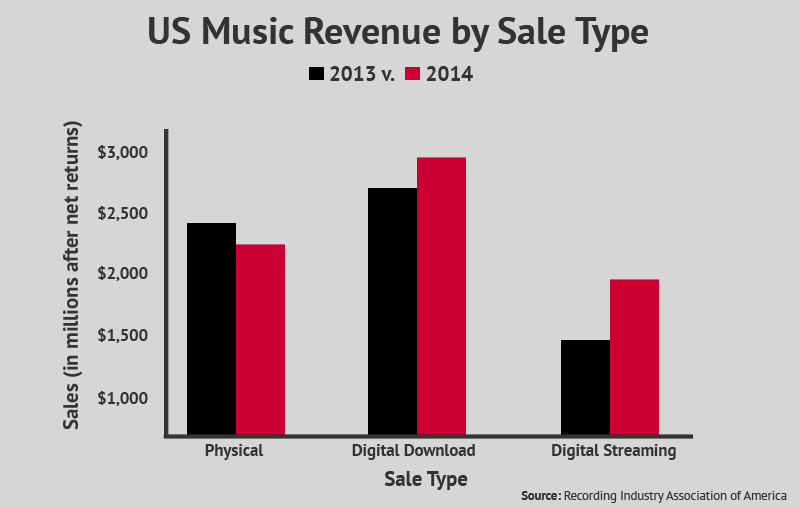 In 2013, album sales fell another 11%, while streaming rose significantly. Online distribution can save your band money required to press physical CDs. What are the requirements to sell music online through the major platforms? Regardless of how successful your band may be, odds are that you will not meet the submission requirements enforced by the major sales platforms. Amazon requires that you go through a digital music distributor in order for your music to be sold on their site. You can submit your music directly to iTunes if you meet their list of requirements, including a catalog with at least 20 albums, UPCs, and ISRCs for all products and tracks. Pandora allows you to submit your music directly, as long as you have at least one track listed on iTunes, Amazon, CD Baby, or Bandcamp. So basically, if you’re not already a multi-million dollar rockstar, you’ll need to go through an online distribution service. What are some of the best music distribution services? If you’re in the majority of artists who don’t meet the requirements asked by iTunes and Pandora, you can use an online distribution service to sell your music. In addition to the big names, many of these services will also distribute to the less popular sales platforms and streaming services. It’s easy to see a deal and automatically think that it’s the right one for you. Pay close attention to the items we’ll discuss below. Sometimes, what seems best up front isn’t a great long-term strategy. These are the costs that you have to pay in order to submit your music to the distribution service. Many of these are on a per album or single basis — think “one and done.” Personally, I would rather pay a higher one time cost than lose a higher percentage of commission. Some services require annual fees in order to continue selling your music online. From our list above, Tunecore is the only distributor currently requiring a yearly fee for each single and album. You’ll notice Tunecore takes no commission, so the yearly fees can easily be recovered if you sell even a modest amount of music. Each sale and streaming platform will take approximately 30% of the revenue from each sale, and there is no way around that. From the remaining revenue, your music distribution service will take their share. The rest of the money is yours. Online music distribution services will make payouts to you on a regular schedule, if you reach the payment threshold. Remember that the individual sales platforms (Amazon, iTunes, Spotify, etc.) will have their own reporting timelines, which will affect the distribution services’ timelines. Some distribution services attempt to be a comprehensive powerhouse for musicians. If you’re looking for additional tools like UPC codes, the ability to create digital booklets, your own label, or purchase cover licenses, that’s something you’ll want to research before making your decision. 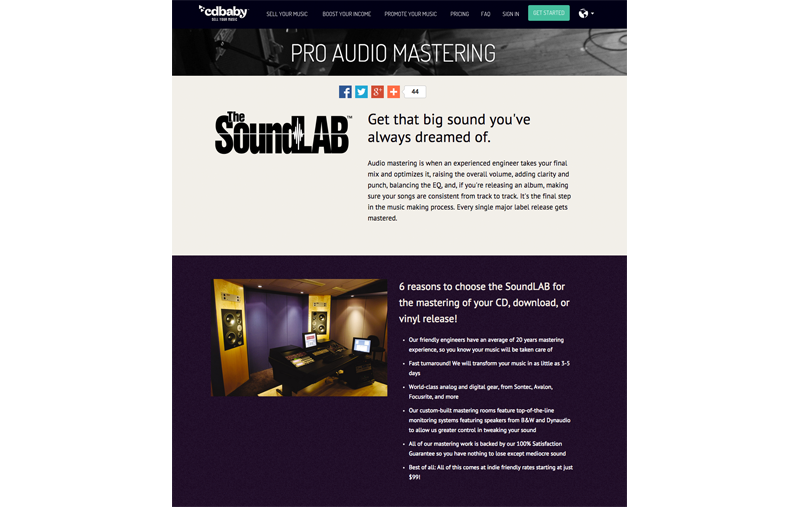 Some distributors like CDbaby and MundoTunes even offer audio mastering. What technical specifications do I need to be aware of? Each service has its own set of specifications. However, if you stick to worldwide standards, you should pass any quality control tests. Artwork for digital album releases should be sized at 1400 pixels X 1400 pixels, at 300 pixels per inch. Remember, it’s always possible to downsize artwork, but not make it larger. Should I copyright before selling music online? Some people will tell you that your music is technically copyrighted as soon as you write it. You may also hear that you can perform something call the “poor man’s copyright” where you mail an unopened recording via certified mail, and would use the postmark date to dispute any ownership debates. Undoubtedly, the best way to ensure that your music remains your own is to properly register the rights with your government prior to releasing music. If you are in the United States, this can be done easily through the US Copyright Office. Here’s a tip: save yourself some money when copyrighting sound recordings by copyrighting an entire collection of songs — like an album — for one submission fee, rather than paying for each song. People will expect to be able to find a way to buy your music on your website, so be sure to include purchase and streaming links. Remember that the discography panel of the AudioTheme Framework allows you to add multiple links to your albums and singles. Each of the companies mentioned in this article have a solid reputation, so selecting which one to use is going to depend on your personal goals. The best way to determine which service is the right one to help you is to be realistic in your expectations for sales. Tunecore is the best service for bands and musicians who expect to sell a high volume of music. By selling only 7 copies of each album per year, you will recover their recurring fees with the commission money you can save. Anything beyond the yearly $49.99 is pure profit. Musicians who only expect to sell only a few albums, or want to release a cover album should probably start with Loudr. With no upfront cost and a low payment threshold, there is no risk in cost recovery, so the higher commission rates may not be that big of a deal. Musicians looking for a little marketing or mastering help should choose CDbaby or MondoTunes. Both offer many additional services, mid-range one-time fees, and average commission rates. Any of the services we’ve mentioned will help you accomplish your goal of selling music online, and more importantly — getting your music out in the world. You’ll make it easier for fans to purchase or stream your music the way they want to, and land in front of new fans who may convert into additional revenue (merchandise sales, tickets to shows, etc.) down the line. So, while selling music online may be an overwhelming task, it’s definitely worth it. Thanks for info, very helpful for comparison.